Major Venue for Dance in America. Wendy Whelan will be among the dancers featured in the 2013 season. Photo courtesy of Jacob’s Pillow. Wendy Whelan serves as Honorary Co-Chair for the 2013 Gala and will dance as part of the Gala performance. Members of Dance Theatre of Harlem will also perform at the Gala and dancers of the Ballet Program of The School at Jacob’s Pillow will present a world premiere created on them in four days by Helen Pickett, a former company member of William Forsythe’s Frankfurt Ballet, recently appointed resident choreographer of the Atlanta Ballet. This signature fundraising event includes a one-night-only performance, dinner, live music, and a big dance party. Additional performers will be announced in the coming months. The legendary and newly revitalized classical and contemporary ballet company will open Festival 2013. Led by founding member and former principal dancer Virginia Johnson, the company will present a range of classic and new work that spans several eras of dance in America, including George Balanchine’s 1957 masterwork Agon, which features an iconic pas de deux first performed by then-New York City Ballet dancer and subsequent Dance Theatre of Harlem founder Arthur Mitchell and ballerina Diana Adams. Also on the program, The Lark Ascending (1972) is one of Alvin Ailey’s most balletic works, set to an eponymous score by English composer Ralph Vaughan Williams created for violin and orchestra in 1920. Dance Theatre of Harlem will be the first company to perform the work en pointe. Far But Close (2012) is a modern-day ballet by Canadian choreographer John Alleyne, with text by award-winning actor, singer, and writer Daniel Beaty and music by composer and violinist Daniel Bernard Roumain. This Festival engagement carries great meaning as DTH made its first ever professional appearances at the Pillow in 1970. Under the direction of choreographer Benoit-Swan Pouffer, the dancers of this New York City-based contemporary ensemble are sleek, strong, and daringly athletic. Company members hail from Brazil, Korea, France, Portugal, Romania, and across the U.S.; they have worked with major international dance companies such as the Royal Danish Ballet, Les Grands Ballets Canadiens de Montréal, and Batsheva Ensemble, as well as within commercial forms including television and music videos. Cedar Lake is noted for commissioning dance from innovative, sought-after choreographers. Its repertory includes works by Israel-born, U.K.-based dancemaker Hofesh Shechter; Jacob’s Pillow Dance Award winner Crystal Pite; former member of Nederlands Dans Theater II and Royal Swedish Ballet member Alexander Ekman; and Belgian choreographer Sidi Larbi Cherkaoui. Shechter’s company made its U.S. debut at Jacob’s Pillow in 2008 and Cherkaoui’s work Orbo Novo, commissioned by Cedar Lake, had its world premiere at the 2009 Festival. Roslyn Sulcas of The New York Times calls the company “a New York success story, possibly the country’s most innovative contemporary ballet troupe with an A-list repertoire, and an accent on creation that few companies worldwide can match.” Program to be announced. Born in India and raised in Paris, Shantala Shivalingappa has been called “divinely gifted” (Claudia La Rocco, The New York Times). She “erases cultural boundaries with her lightness, wit, and musicality” (The New Yorker) and has worked with some of the greatest artists of our time, including choreographer and opera director Maurice Béjart, English theatre and film director Peter Brook, and the legendary dancemaker Pina Bausch. Her vivid interpretations of the classical south Indian dance style Kuchipudi are steeped in expressive narrative, and are known for sensual flowing lines, nimble leaps, and intricate, percussive footwork. Accompanied by four master musicians, live music and dance come together in this evening of new Kuchipudi work that is co-commissioned by Jacob’s Pillow. Shivalingappa first appeared at the Pillow in 2008; this is her third engagement at the Festival. Choreographer and Artistic Director Sonia Destri is recognized for intelligently combining hip-hop with dramatic, creative contemporary choreography. Her company, founded in Brazil in 2004, features dancers from the suburbs and favelas of Rio de Janeiro, who have developed a range of movement vocabulary that incorporates hip-hop, urban, contemporary, and Brazilian social dance. At the Pillow, they present Chapa Quente (“hot plate” in Portuguese), which is inspired by the streets of Rio and pumps with adrenaline. Also on the program, ID: Entidades bursts with raw energy and contemporary artistry. Robert Gottlieb of The New York Observer describes the program as, “[eight] terrific guys mixing hip-hop and modern-dance moves in a totally satisfying work…For once, hip-hop was used to an artistic end and not merely as exhibitionism, however exciting.” The company’s 2010 U.S. debut was ranked among Time Out New York’s “Top 10” dance performances of the year. Since 2002, Brian Brooks’s contemporary dance company has been presented throughout the U.S., South Korea, and in Europe. He “loves to shatter conventional notions of the human capacity for strength and endurance” (Susan Yung of Dance Magazine) in dances with bold stage design and rigorous movement. The company’s Pillow program includes BIG CITY, which explores aspects of construction and deconstruction, and boasts a dynamic, large-scale installation built with hundreds of aluminum pipes, showcasing Brooks’s affinity for architectural design. The solo I’m Going to Explode juxtaposes the tension of working within confined spaces against the relief of breaking out of them, and the group piece DESCENT investigates the dependent relationship between bodies. Closing the program, the dancers in the duet from MOTOR “subtly, sublimely vary their routine, gradually injecting graceful swoops and other twists, for a complex, transcendent ode to simplicity.” (The Chicago Tribune). Brooks will also perform with Wendy Whelan in Restless Creature, August 14-18 (see below). From British Columbia, Ballet BC is one of Canada’s top contemporary ballet companies, directed by choreographer Emily Molnar since 2009. A former dancer with the National Ballet of Canada, William Forsythe’s Frankfurt Ballet, and Ballet BC, Molnar has brought the company into a new era of innovation and collaboration by working with top international choreographers. Their program at the Pillow includes three U.S. premieres. Petite Cérémonie, created by Nederlands Dans Theater’s Medhi Walerski, is set to music by Mozart, Puccini, and Vivaldi. Italian choreographer Jacopo Godani’s A.U.R.A. (Anarchist Unit Related to Art) was originally commissioned by Ballet Mainz in Germany and is set to a score composed and recorded by the popular German electro-acoustic duo 48nord. Molnar’s own Aniel was inspired by avant-garde composer and saxophonist John Zorn’s album, Book of Angels. The score, recorded by Cracow Klezmer Band and the Masada String Trio, is percussive and vibrant, and the choreography features a whimsical explosion of color and “seriously fun dancing” (Vancouver Sun). L-E-V, the new contemporary dance company founded by Israel-based avant-garde co-creators Sharon Eyal and Gai Behar, will make its U.S. debut at the Pillow. Among the most celebrated dancers performing today, Eyal performed with Batsheva Dance Company from 1990 until 2008, served as Associate Artistic Director in 2003-2004, and was Batsheva’s house choreographer between 2005-2012. As a choreographer, Eyal is known for her unique and personal movement language that often incorporates sensuality, stark imagery, and raw physicality. She has received numerous honors, including the Ministry of Culture Award for young dance creators, and in 2008 she was named a Chosen Artist of the Israel Cultural Excellence Foundation. Outside of Batsheva, Eyal and Behar have created acclaimed work for Hubbard Street Dance Chicago, Germany’s Tanzcompagnie Oldenburg, the Gothenburg Ballet, and Carte Blanche of Norway. Carte Blanche made its U.S. debut at the Pillow in 2011, with a program of two works by Eyal. One of Eyal’s signature works, Love, had its U.S. premiere at the Festival in 2004, performed by Batsheva. Valentina Bonelli writes in VOGUE ITALIA, “Physical, vigorous, insistent, Sharon Eyal’s pieces are the latest trend in Israeli dance.” L-E-V will perform the U.S. premiere of HOUSE, a hypnotic, evening-length work, originally commissioned by Batsheva Dance Company in 2011, with a score by musician Ori Lichtik and lighting by acclaimed designer Bambi. Michelle Dorrance, founder and artistic director of Dorrance Dance, is one of the most sought after tap dancers of her generation and “one of the most imaginative tap choreographers working today” (The New Yorker). A 2012 Princess Grace Award Winner, 2012 Field Dance Fund Recipient, and 2011 Bessie Award Winner, Dorrance performs, teaches and choreographs throughout the world. She has toured with the off-Broadway hit show STOMP; performed at the 2002 Winter Olympics and 2001 Cannes Film Festival; danced in festivals around the world; and shared the stage with Dianne Walker, Savion Glover, Harold Cromer, Jason Samuels Smith, and many others. Her new show The Blues Project will premiere at the Pillow, featuring intricate rhythms, contagious energy, today’s top dance talents (performers to be announced), and a live band led by acclaimed musician and composer Toshi Reagon. Following a sold-out American debut during Festival 2011, French contemporary ballet company 3e étage returns to the U.S. Founded and directed by Paris Opera Ballet dancer and choreographer Samuel Murez, 3e étage is comprised of étoiles, soloists, and dancers of the Paris Opera Ballet. Created in 2004, the company was named for the third floor (3e étage) of the illustrious Palais Garnier opera house, where new dancers of the ballet are first assigned dressing rooms. The ensemble is known for contemporary ballet productions marked by an inventive mix of expert technique, quirky humor, and clever narrative arcs. Janine Parker of The Boston Globe wrote of their debut performances, “these supreme descendants of the classical line ply their virtuosity with both jaw-dropping elan and unaffected miens.” The company will perform the world premiere of Le Pillow Thirteen, which includes a suite of new dances created especially for Jacob’s Pillow, in addition to favorites such as me2, inspired by the bilingual poem “Me Too” by Raymond Federman; Quatre, in which four men vie for virtuosic dominance; and Processes of Intricacy, an intimate duet about the creative process, choreographed by Murez. Based in Los Angeles, BODYTRAFFIC was founded in 2007 by Juilliard graduate Lillian Barbeito and founding member of Baryshnikov’s Hell’s Kitchen Dance Tina Finkelman Berkett. Since then, the company has commissioned works from noted international choreographers, including Festival 2010 artist Barak Marshall (Israel); Stijn Celis (Belgium); and Guy Weizman and Roni Haver (The Netherlands). Marshall’s work MONGER had its U.S. premiere at the Festival in 2010; Club Guy and Roni debuted at the Pillow in 2007; Celis served on the faculty of The School at Jacob’s Pillow in 2010. In 2011, BODYTRAFFIC won a $10,000 first prize, along with Barak Marshall, at the Los Angeles iteration of “The A.W.A.R.D Show” and in 2012 they received a substantial commissioning grant from The Joyce Theatre Foundation. For their Pillow debut, the company will perform a varied program of works, including Richard Siegal’s O2Joy, an exuberant, theatrical whirlwind danced to the music of Ella Fitzgerald and other jazz greats. Additional works to be announced. Prolific choreographer Jessica Lang has created more than 75 dance works on companies including Birmingham Royal Ballet, The Joffrey Ballet, Kansas City Ballet, Cincinnati Ballet, Colorado Ballet, and now, her own ensemble Jessica Lang Dance. The ensemble made its full company debut at Festival 2012. Lang is known for contemporary ballet works that engage the senses with full-bodied choreography, lush musicality, creative sets, and vibrant costuming. Tresca Weinstein of Dance Magazine calls Lang “a master of visual composition.” The ensemble’s Festival program will include Lang’s 2011 work i.n.k., which features video art by Japanese-born visual artist Shinichi Maruyama, and is danced to a commissioned score by Polish composer Jakub Ciupinski. The engagement will also include Lang’s dance film White, also a collaboration with Maruyama, featuring dreamlike visual tableaus as dancers are captured and layered in real time and slow motion. A Pillow co-commission and world premiere collaboration between Lang and Canadian design studio molo, and other dances, will complete the program. Hailed as “America’s greatest contemporary ballerina” by Claudia La Rocco of The New York Times, Wendy Whelan has danced with New York City Ballet (NYCB) for more than 25 years. She has mastered repertory that includes the classics such as Swan Lake, Balanchine’s masterful neo-classical repertory, and contemporary works by some of the world’s greatest choreographers. While continuing to perform with NYCB, Whelan has embarked on a new evening of dance, titled Restless Creature, which is being co-commissioned by the Pillow and will premiere at this year’s Festival. Whelan will collaborate and dance with four of today’s leading male choreographers, each with his own choreographic voice, vocabulary, and performance identity. Restless Creature will consist of a suite of four duets, created by and performed with Jacob’s Pillow Dance Award winner Kyle Abraham, contemporary ballet choreographer and dancer Joshua Beamish, Festival 2013 artist and choreographer Brian Brooks, and Hubbard Street Dance Chicago’s Alejandro Cerrudo. With four distinctly different dance partners/choreographers each performing in their individual styles with Whelan, the program will offer a fascinating study of how Whelan adapts and interprets a variety of artists’ visions while amplifying her own vivid individuality. Both Kyle Abraham’s and Brian Brooks’s companies will also have weeklong engagements in the Doris Duke Theatre in 2013. Following dance icon Martha Graham’s death in 1991 at the age of 96, Anna Kisselgoff of The New York Times called her “the most honored figure in American dance” and also wrote, “Graham was a prime revolutionary in the arts of this century and the American dancer and choreographer whose name became synonymous with modern dance.” To close Festival 2013, the celebrated modern dance company will re-stage Graham’s interpretation of The Rite of Spring, in honor of the 100th anniversary of the original iconoclastic ballet. The 1913 work with created Igor Stravinsky and Vaslav Nijinsky, and performed by the Ballets Russes, caused riots in the theatre at its Paris premiere. Graham’s 1984 version displays her signature intensity, bold styling, and stark choreography. Kisselgoff writes “…in her evocation of seemingly remote climes and cultures, she can make us recognize universal emotions.” The program also includes Lamentation Variations, a collection of short works for the company inspired by Graham’s iconic solo and created by some of today’s most note-worthy choreographers, including Aszure Barton, Larry Keigwin, Lar Lubovitch, Richard Move, Bulareyaung Pagarlava, Yvonne Rainer, and Doug Varone. The specific Lamentation Variations works will be announced at a later date. The company will also perform a world premiere by famed Spanish choreographer Nacho Duato, the former Artistic Director of Spain’s Compañía Nacional de Danza and CND2 (CND2 made its U.S. debut at the Pillow in 2003). Duato is the current director of the Mikhailovsky Theatre in Russia. Festival 2013 and tickets: Single tickets go on sale to the public on April 8, 2013. 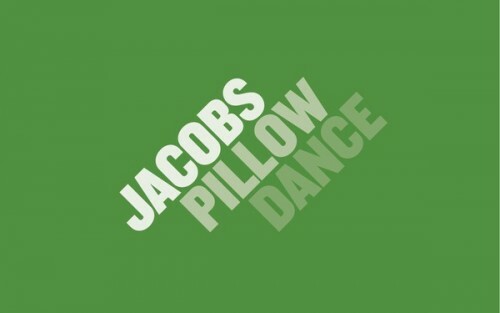 Tickets go on sale to 2013 Jacob’s Pillow Members and Subscribers as early as January 28, 2013. Box Office: 413.243.0745 and Jacob’s Pillow. Further programming announcements will be made in April for more than 200 free events, including Inside/Out performances, PillowTalks, and exclusive exhibits.